Paulist Fr. John Ardis became pastor of Old St. Mary's Cathedral and Chinese Mission in San Francisco in July, 2018. He previously served for three years as our senior director of mission advancement. In this role, he led our fundraising and marketing initiatives. Fr. 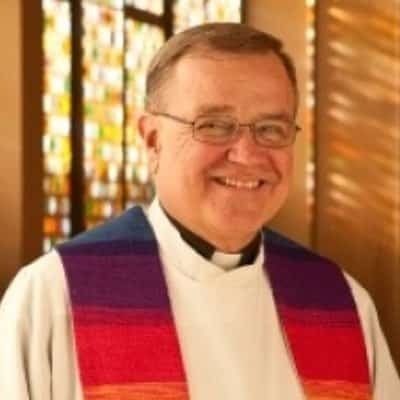 John also has served as pastor of St. Paul the Apostle Church in Los Angeles; director of the Paulist Center in Boston; associate pastor of St. John XXIII University Parish in Knoxville, TN; and as our community's vocations director. While serving as director of the Paulist Center in Boston, he gave the benediction on the final night of the 2004 Democratic National Convention, which was held in that city. Fr. John made his first promises to our community on August 3, 1985, and was ordained a priest on May 12, 1990. Prior to joining our novitiate, he worked as a parish-based director of religious education. To learn more about Fr. John, please visit Facebook, Twitter or Pinterest. He can be reached at johnardis@paulist.org or (202) 269-2500. Glimpses from the Mass celebrating Paulist Fr. John Ardis' 25th ordination anniversary.